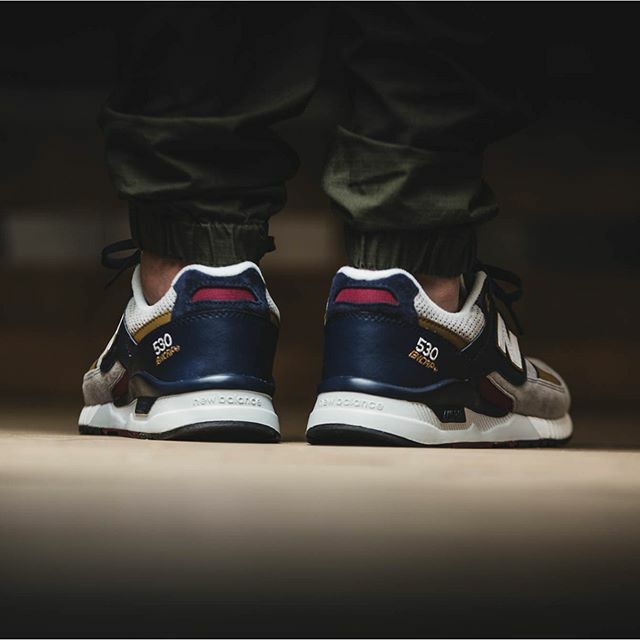 After it’s reintroduction last year, the New Balance 530 has been gaining more and more fans with every release, and with the addition of the West NYC collaboration, this boosted it’s popularity even more. Also, that huge NB branding on the tongue is definitely one of our favourite features out of all the models that New Balance has on offer! 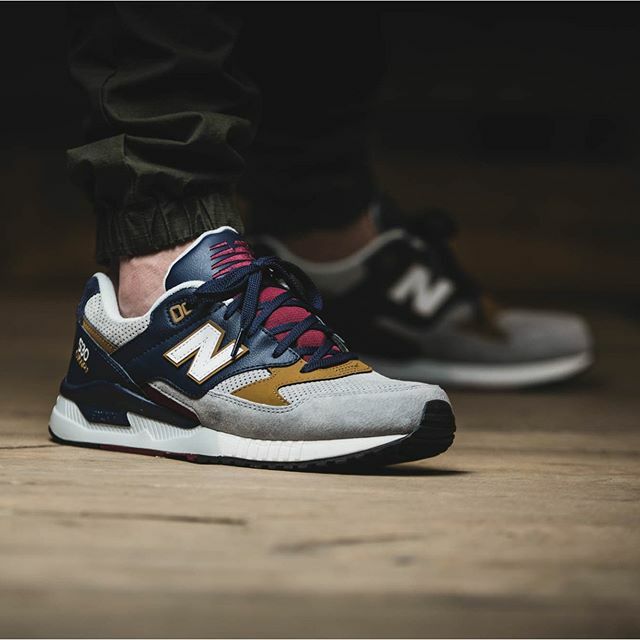 Now, we see New Balance preparing for the autumn/winter seasons with some clean make-ups of this model, and following on from the tonal navy and grey colourways of the New Balance 530, we also have the New Balance 530RWB. 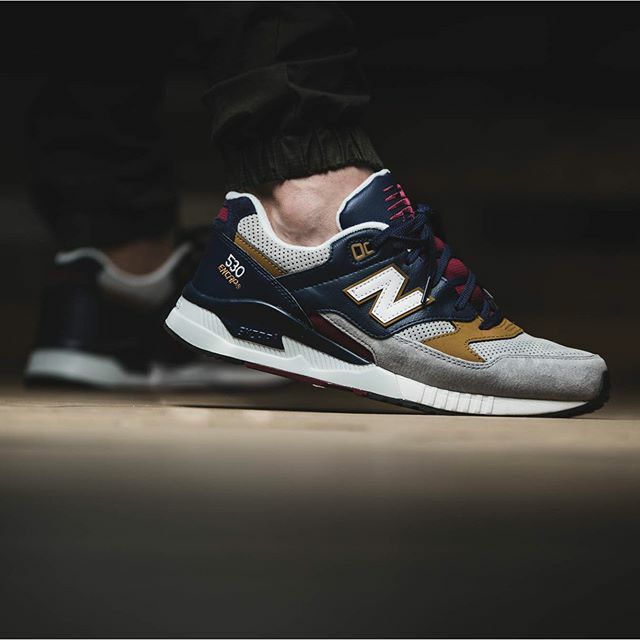 The New Balance 530RWB comes dressed in a grey suede on the toe wrap, toe box and underlay, complimented with navy leather side panels, heel wrap, heel tab and top section of the tongue. The shoe is finished off with contrasting burgundy and tan accents. 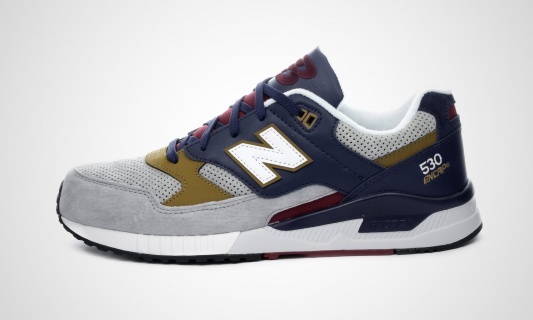 You can grab the New Balance 530RWB by clicking on the image below to take you direct to 43einhalb.